The Omega Raids are your first step toward real strength and the most important content in the game. Your goal will be to collect and fill your grids with Omega Weapons that have Omega Might skills. The most important content in the game. It will take you from a fresh newbie to high level and beyond. Omega raids drop element appropriate Omega Weapons and Omega Summons. They also drop a large amount of fodder to raise item and skill levels. Each raid can be challenged three times per day and require two of the corresponding Omega Anima. 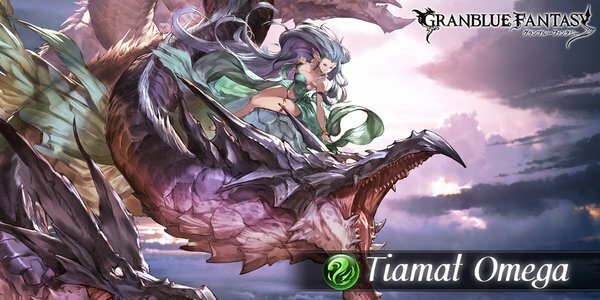 Omega primals vary wildly in strength, with Tiamat and Yggdrasil being the easiest. Your main goal as a new player should be to reach a point where you can bring your target Omega to 50% alone, then open the raid for others to kill it. If you can't MVP the raid don't fret. As host you still have a good chance to obtain an SSR item. Other good classes for Omegas are Holy Saber and Superstar. A common strategy for new players is to leech others Omega Raids for drops. When leeching the chance of a gold chest with an SSR item is very low and Drop Rate boosts have a very large impact on your average drop rate. If you fill your front line with R and SR characters you can gain extra Renown Pendants which can be used to buy Omega Weapons among other items. Note, still need more data on the July 7th update. Location: Chapter : Zinkenstill - Azure Sky Gate Start QuestNetwork Errors will appear if the hosting conditions are not met. Wind damage to all allies and lose 5% charge bar. 4-hit massive Wind damage to random allies. Drop table last updated: 2017-07-08, all stated drop rates are estimates. Warning! Does not work for Plain Damage!s if you're unlucky. Best case scenario is to push her into Overdrive and all the way through to Break before her first Charge Attack. This means you will want to use Dark Fencer with a Fire weapon mainhand in order to ensure that Stall, Miserable Mist, and Gravity hit consistently. 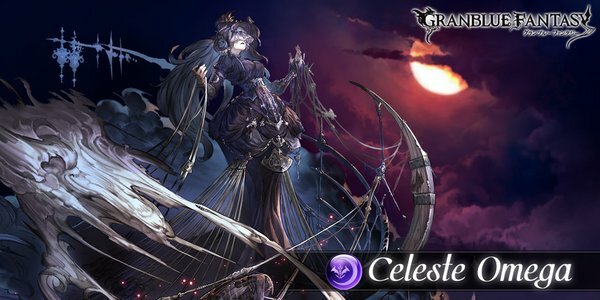 As her normal attacks can deal around 3000 damage unmitigated, it's recommended to take Rain of Arrows III as your subskill. Blind can work too, but since you're already lowering her attack with Mist it can be easier to deal with consistent, low damage over spiky, medium damage. "Veil" is an unofficial name used by the wiki for this status effect. Its actual in-game name is "Immune." or cross your fingers that she doesn't use Backdraft. After her Charge Attack, immediately push her through Overdrive to Break. Massive Fire damage to all allies.
. These buffs are removed upon using Resolute Reactor or Dimensional Cleave. and remove all debuffs on self. Massive Fire damage to one ally. The good news is that players looking to only solo-MVP will not have to factor in Dimensional Cleave, as Colossus Omega usually does not enter Overdrive until near halfway. This also makes Break and Overdrive Assassin characters less than ideal for this fight, so plan accordingly if you're only after red boxes. 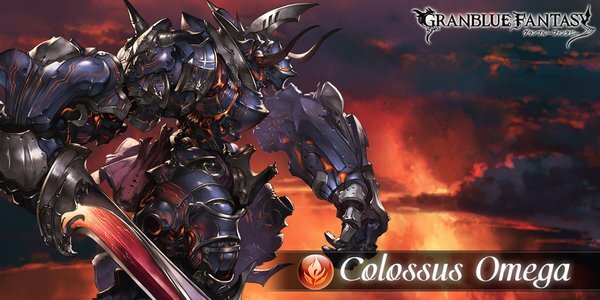 This does not make Colossus Omega any less of a challenge for newer players, however, as of the four "standard" element omega bosses it is considered the hardest and for good reason. Its basic attack will always be a brutally powerful single hit, so heavy attack downs and strong blinds are valuable. The charge attacks can be thought of as "mode changes": Shelter doesn't inflict much damage and actually lessens the power of its normal attack but makes the boss very tanky (especially against Water, although Dispel will remove the resist first) while Resolute Reactor's Burn and Attack Up will quickly drain lifebars but the self defense down makes it the perfect time to unleash a full chain. This is all it does for the first half of the fight, so react accordingly to the charge attack it uses and grind it down to half HP. The second half of the fight is all about dealing with the dreaded Dimensional Cleave, which nukes the unfortunate target for over 60k damage. Needless to say, this will kill the target without some form of defense. You'll need AT LEAST 90% damage cut against fire (or preferably 100% cut) or a dodge to survive, and due to the potential for constant triggers you should be prepared to lose units anyways. It can also be worth it to save a full chain of charge attacks until it nears a trigger to try to skip as many as possible. Without either Yngwie, Lily, Garuda summon, or Holy Saber, you should be prepared to call for help if the wrong unit takes a Dimensional Cleave to an undefended face. 2-hit, massive Water damage to random allies. Warning! Does not work for Plain Damage! has been nerfed from "your entire frontline dies if you attack into it" to a measly 1000 damage. Because of this, teams that can't tank Tidefall should push for Overdrive ASAP and hope it doesn't Tidefall anyways. Since Leviathan only has two charge diamonds, it's highly recommended to have a Dark Fencer in order to ensure you'll have the required skills up. 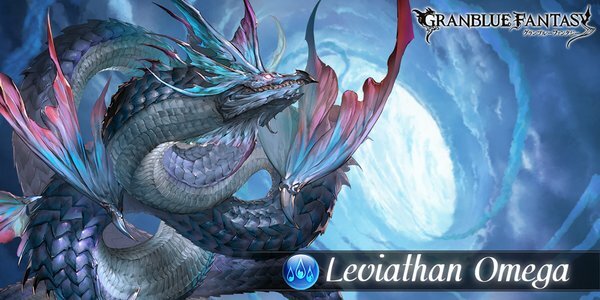 Leviathan has similar break timings to Yggdrasil and Tiamat (requiring a bit more damage due to higher health, of course) and no triggers or enrage, so once you can deal with its Charge Attacks the fight becomes much less scary. to all allies. Gains 200000 HP. Yggdrasil Omega's basic attacks strike 4 to 8 times on random allies. Yggdrasil Omega's basic attacks are unique in that they are low damage (~650 damage, reduced to ~250 with 50% Attack DOWN and Wind units) but numerous, striking between 4 and 8 times a turn. This usually results in damage being spread evenly. The real threat is in her Charge Attacks: Nether Mantle's Fire damage counteracts any Earth resist, and Axis Mundi inflicts a pair of dangerous status effects. 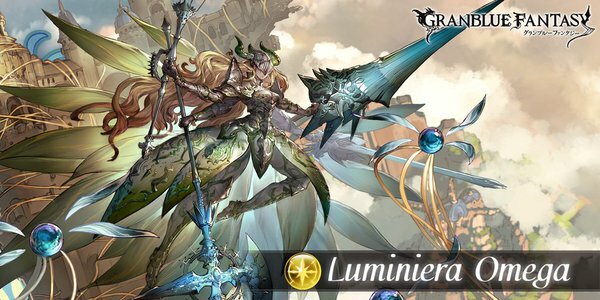 Luminox must be avoided at all costs, as it inflicts so much damage that only a 3★ Zircon Carbuncle or Gawain will save you. 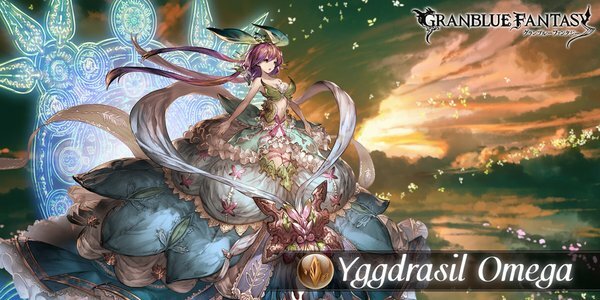 The good news is that Yggdrasil Omega can be rushed to Break status very fast with a good enough Wind pool, allowing you to either secure MVP or take a non-OD Charge Attack instead of Luminox. Other than that, Yggdrasil is one of the simpler Omegas to defeat as she has no triggers or enrage. Location: Chapter : Zinkenstill - Azure Sky Passage Start QuestNetwork Errors will appear if the hosting conditions are not met. "Veil" is an unofficial name used by the wiki for this status effect. Its actual in-game name is "Immune.". Does not consume charge diamonds when triggered.
. Does not consume charge diamonds.
. Remove all buffs from all allies. Drop table last updated: 2017-05-08, all stated drop rates are estimates. skill can draw the entire attack to one unit. An alternative method is using an unlocked Six-Ruin Fist with Ogre or Luchador and Dispel as the EX skill. The Six-Ruin Fist Sterling's charge attack provides a two turn party-wide Counter that can be chained with two turns of Luminiera casting Aegis Merge/Unmerge for an effective 4 turns of damage immunity for your party, but it doesn't work against Blade of Light, as Blade of Light dispels the counter effect before it activates. With Ogre's charge bar buffs and some DA/TA buffs, you will only need to manage one to two turns of normal attacks every cycle. Repeat until you secure MVP. Duration: 5 turns to all allies. Removes all buffs and debuffs from all allies. Duration: 9 turns to all allies. This page was last modified on 3 November 2017, at 15:32.